1. Compared with the traditional circular filter bag, the filter area of the pleated dust filter bag is increased by 50-150%. 2. During the installation and operation, there is no special requirement and can be used according to the traditional circular filter bag method. 3. The pleated dust filter bags can completely prevent the positive pressure of the quotient pressure pulse injection to expand the strong tension of the brake, and the collision of the dust skeleton in the future, which can greatly reduce the fatigue damage and the dust discharge in the blowing brake. 4. 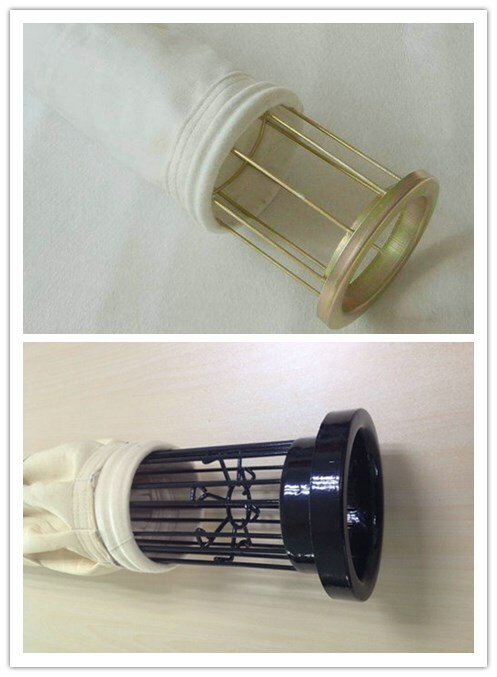 The supporting filter cages eliminate the lateral support rings and prevent the partial fatigue damage of the dust removal filter bag. 5. The supporting skeleton (filter bag cage) increases the longitudinal support area and the dispersion is more reasonable, which greatly reduces the fatigue damage of the dust removal filter bag at the contact point. 6. Under the same air ratio, the ash removal distance is greatly extended and the operating pressure difference decreases, so that the service life of the filter bag will be longer and the emission will decrease. 7. The overall power of the system is obviously improved, which can greatly reduce the cost of protection. From above, it can be seen that the advantages of the pleated dust filter bag are obvious, but it does not mean that the traditional filter bag will be completely replaced, because it is the most important to match the suitable filter bag in different working conditions. For example, if we need to use fiberglass dust filter bags, we can not use pleated filter bag. Therefore, whether it is a pleated filter bag for dust removal, or a traditional dust removal filter bag, it can only provide the best assistance for the working condition, and it can be used at ease.